With the upcoming Las Vegas trip in February,I have been getting busy planning on what shows we want to see while we are there for approx. 5 days. It wasn't hard to decide that ventriloqist Terry Fator was right up there on our list.He is absolutely amazing- with a talent of over 100 ventriloquial impersonations and his fun puppets that he makes come to life to entertain his audience.Each character allows Fator to sing a different genre in an unbelievable manner with performances ranging from Gnarls Barkley, Black Sabbath and Garth Brooks to Cher, Etta James and Guns N’ Roses – all without moving his lips. You may have known him as the winner of Season 2 of America's Got Talent, where he received the million dollar prize. The following year, he was signed on as the headliner at The Mirage hotel and casino in Las Vegas. Still haven't heard of Terry? Watch the clips here. Loved what you saw? Buy the dvd here. 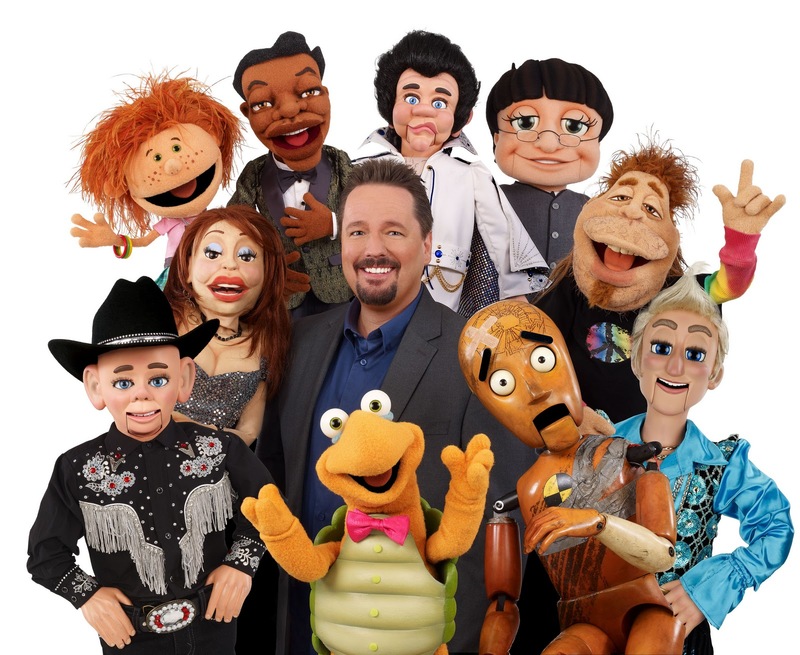 Ok, we know your wanting more and your wanting to see him live just like we were, so plan your next trip to Vegas and see Terry Fator's Ventriloquism in Concert. March 2011 marked Fator’s two year anniversary as a successful headliner on the world-famous Las Vegas Strip.We can't wait to see the show next month and tell you all about it.